Saturn. June 6, 2018, 00:18 (UTC+3). Processing: PIPP (cut out and align), Autostakkert (7 movies per 120s, stacking 1000 frames from 6000), Registax 6 (wavelets), WinJUPOS (derotation). Edited by Star-Hunter, 18 January 2019 - 06:30 PM. 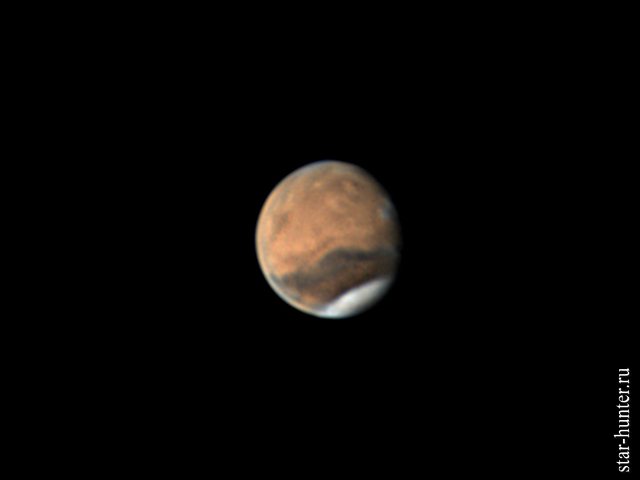 Mars, 06/06/2018, 02:21 (UTC +3). 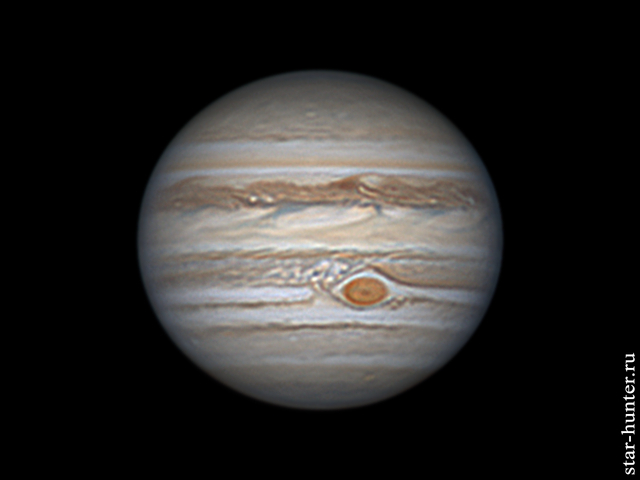 Processing: PIPP (crop and align), Autostakkert (selection and stacking best 1000 frames from 6000), Registax 6 (wavelets). Jupiter with moons and Great Red Spot. July 2, 2018, 20:37 (UTC +3). Location: Russia, Anapa, backyard.Processing: PIPP, Autostakkert, Registax 6, Winjupos. Thank you! I will post my best photos sometimes. I am novice here. How often can I post my messages? -ZWO 290 MC camera (1936×1096@26fps). Location: Russia, Anapa, backyard. October 1, 2017. 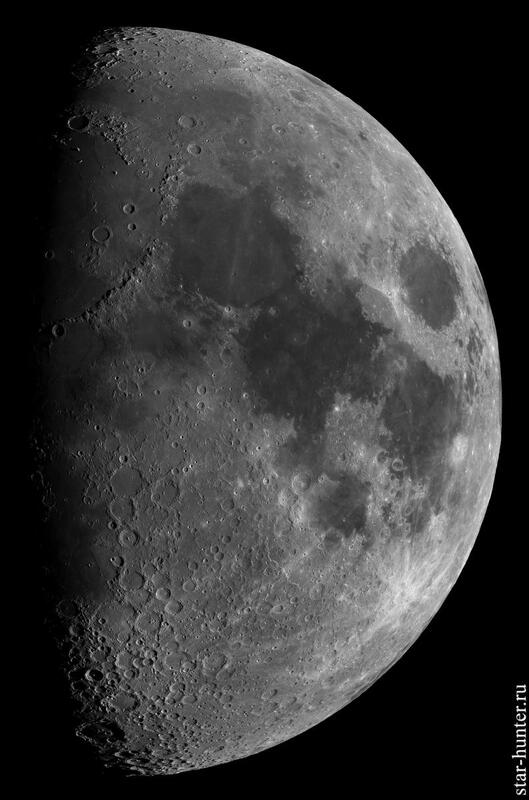 Software: Autostakkert (stacking 250 frames from 1300), Registax 6 (wavelets). Panorama from 3 stacks at Microsoft ICE. Scale 50%. Glad to see you're now around here! I've been enjoying your photos on Instagram for a while now but it's not as good as Cloudy Nights and other sites dedicated to astronomy when it comes to astrophotography in my opinion. Beautiful Images, thank you for sharing. Welcome to Cloudy Nights, looking forward to seeing more of your work. You can post as often as you like. Please do! Those are very fine images. Very nice! Post often! Thanks for sharing! Very good images of the planets, I daresay you have been getting better seeing than I get here along the Gulf Coast, because I use a similar telescope and the same camera to do the same sort of imaging. Location: Russia, Anapa, backyard. May 24, 2018, 23:49-00:10 (UTC +3). Right satellite - Io. Processing: PIPP, Autostakkert (18 movies per 60s, stacking 800 frames from 3000), Registax 6. Two shadows on Jupiter. Satellites: Europa and Io. May 29, 2017, 22:08 (UTC +3). 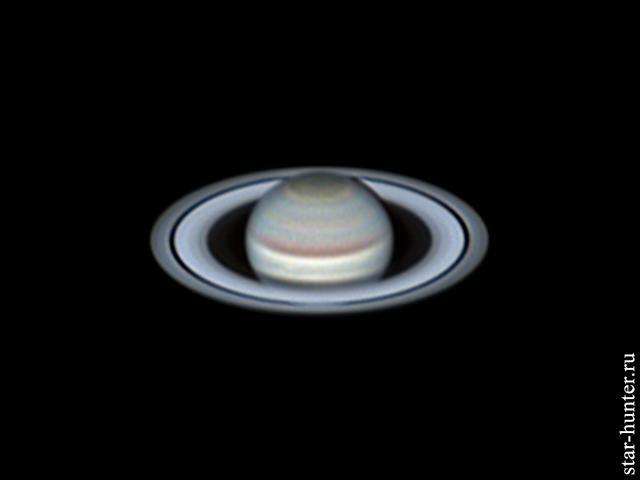 Processing: PIPP (crop, align and make a gif), Autostakkert (stacking), Registax (Wavelets),WinJUPOS (derotation of 5 stacks). Edited by Star-Hunter, 19 January 2019 - 04:00 AM. 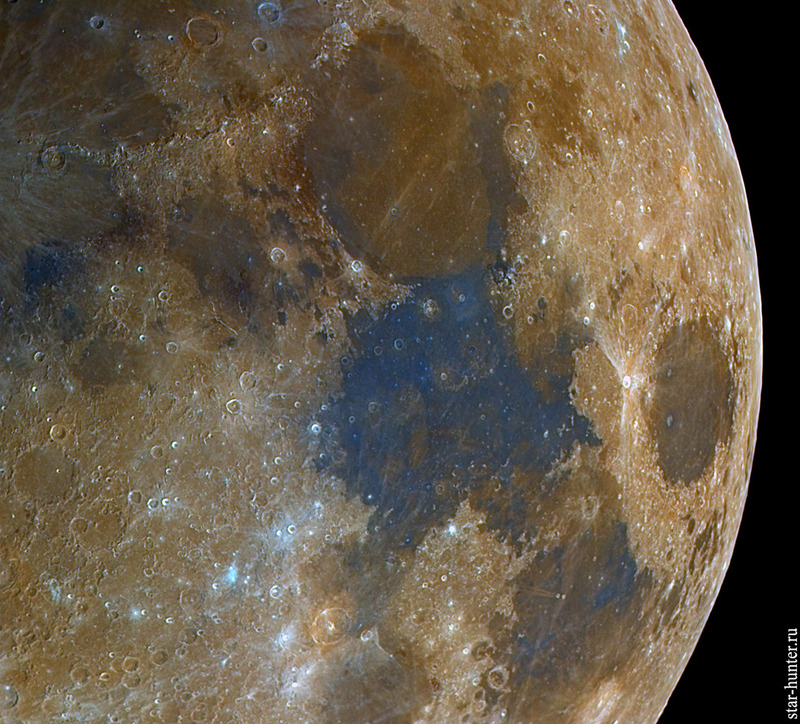 High-resolution lunar panorama. March 25, 2018. 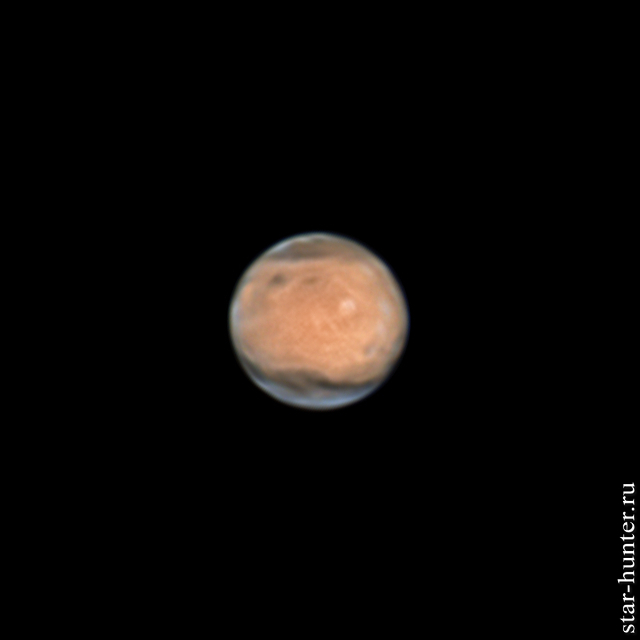 Processing: Autostakkert (stacking and alignment 100 frames from 2200), Astra Image (deconvolution of stacks) Microsoft ICE (panorama making from 10 stacks). Scale 25%. UFO flying in front of Jupiter. Location: Russia, Anapa, backyard. June 30, 2017, 20:58 (UTC +3).Processing: PIPP (crop, align, debayer, convert to gif and change fps). Animation is slowed down to 10 fps. I managed to shoot a UFO transit in front of Jupiter. I checked the orbits of satellites flying at that time near Jupiter - there is no coincidence. I guess this is a high-altitude balloon. I will try to calculate hyperfocal distance for this telescope.Hyperfocal near limit - nearly 14 km. For 6" size and distance nearly 12 km we got linear size 0.3 meters. How do you get colour images of the moon? Stacking and simple saturation gain. Great images especially from your latitude. You'e got the same scope as I do! Please keep posting them! 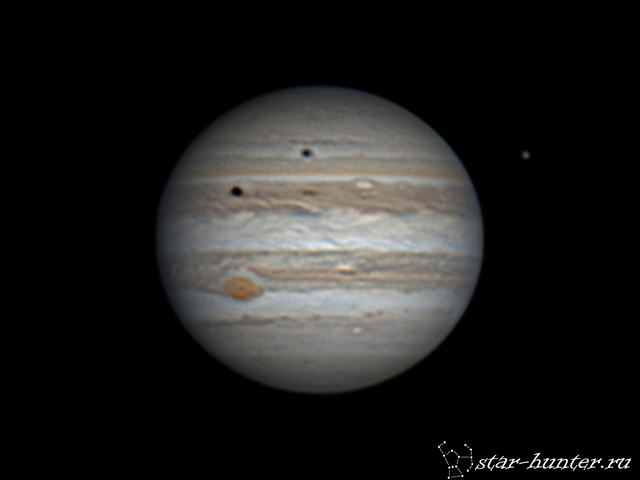 Processing: PIPP, Autostakkert (28 movies per 60s, stacking 800 frames from 2400), Registax 6, WinJUPOS. Edited by Star-Hunter, 20 January 2019 - 05:56 AM. Location: Russia, Anapa, backyard. Height above the horizon - 18 degrees. Processing: PIPP (crop, align), Autostakkert (stacking 1000\2000\4000 frames from 11000), Registax 6 (wavelets), Astra Image (deconvolution). Edited by Star-Hunter, 20 January 2019 - 09:43 AM.